401(k) fiduciary… what the heck does that even mean? If you’re responsible for any aspect of the 401(k) and you don’t know, we don’t blame you. The Department of Labor isn’t exactly known for simple explanations and easy-to-understand rules. 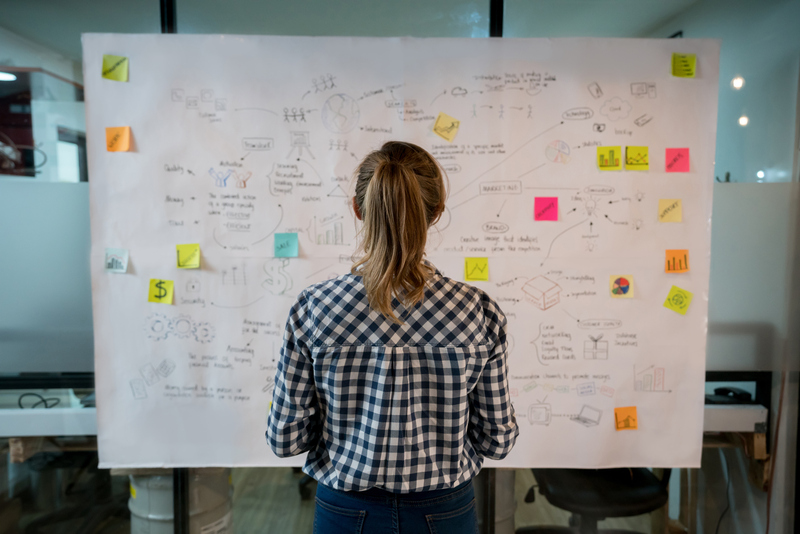 But as someone responsible for 401(k) compliance & administration at your company - whether you’re signing Form 5500 each year or just handling part of the process - there are some very big legal responsibilities you need to be aware of. In this guide, we’re going to walk you through everything you need to know about being a 401(k) fiduciary - what it means, what your legal responsibilities are, and steps you can take can to offload some of that liability and make your plan’s compliance as simple and easy as possible. Are identified as a fiduciary in plan documents (now there is no doubt - you ARE a fiduciary). If you don’t meet any of the above criteria, even if you’re involved in the day-to-day operation or administration of the plan, it’s likely that you are not a fiduciary. Okay, so now you have an idea whether or not you’re a fiduciary. But what does that actually mean? Fiduciaries are the parties or individual(s) that are legally responsible for a 401(k) plan — be it on the financial or administrative side — to ensure that participants’ hard-earned retirement savings are well-protected and in good care. As you can imagine, fiduciaries are pretty important. As a fiduciary, you’re legally responsible for specific aspects of the plan, or maybe even the whole plan itself. That means mistakes, errors, or wrongdoing in the management of your plan may ultimately be your responsibility. If the company doesn’t have the money to fix any errors, your personal assets may be on the hook. The liability involved with being a fiduciary is serious, without doubt. But we don’t want to scare you! The chances of a DoL audit aren’t super high (unless your participants complain to the DoL). There are also plenty of things that can be done to protect the plan sponsor, offload some of the liability, and make sure you’re meeting all those fiduciary responsibilities. 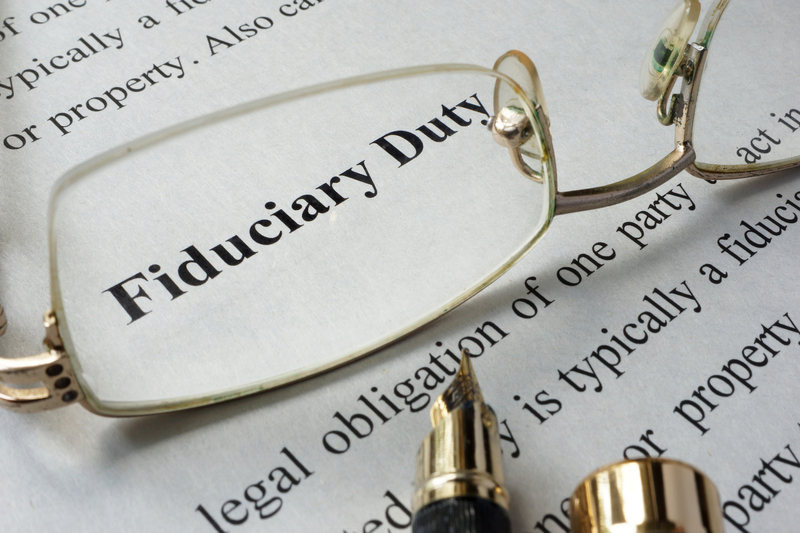 The legal responsibilities of the fiduciary are laid out in 1974’s legendary Employee Retirement Income Security Act (a.k.a. ERISA)! And yeah, that’s about as exciting as talking about ERISA gets. But don’t worry, there’s plenty of excitement ahead (...if you love legal responsibilities and financial burdens). As the person managing investment, you have the responsibility to pick investments that meet their objectives for a reasonable fee. This rule is often called the “prudent person” rule - a nice, common sense rule that states if you’re in charge of someone’s assets, you have to manage them like a reasonable person with an eye to growing those assets. These days, that's easier than ever. Many index funds offer comparable returns and low fees and can be an excellent option. In essence, this requires you to offer a range of investment options - ensuring that employees can distribute their plan assets appropriately. But the responsibilities of being a 401(k) fiduciary don’t stop at just investment options. There’s still work to be done. Once you have chosen the Investments, you must review and monitor these investments to assess their performance and cost relative to other investments with similar objectives. The type of compensation that’s eligible for 401(k) deferrals (IE salary, wages, commissions, bonuses, etc). You naturally have to adhere to any age and service requirements that have been put in place. These are, at maximum: 21 years of age and/or 1 year of service (1000 hours worked). These are some of the most common 401(k) financial transactions you’ll deal with, and it’s up to you to ensure that they’re in compliance with your plan document and IRS regulations. All this also means ensuring that the plan document is up-to-date and in accordance with the latest Internal Revenue Code updates, which are announced regularly. Depositing contributions in a timely manner. Ensuring deferral rates are properly updated in payroll each time an employee changes them in the 401(k) provider’s online interface. Setting up loan repayments according to the repayment schedule provided by the 401(k) provider. Throughout the lifetime of your 401(k), you’ll be required to send participants certain notices at different times. Some must be sent every year, or every quarter. Others are required each time a certain event takes place, such as when a newly hired employee approaches eligibility. Record retention is a huge part of dealing with a 401(k). Whether during a DoL audit, or your scheduled annual 401(k) audit, an auditor always asks for documents and records, so being diligent and organized is crucial. Putting together the year-end census report. Undergoing nondiscrimination testing and making sure mistakes are corrected. Assisting with and facilitating the annual 401(k) audit (if applicable). Preparing, signing, and submitting Form 5500. Okay, we’re through the administrative responsibilities. Sorry you had to go through that. Next, we’ll talk about another important category of fiduciary responsibilities. An “unreasonable expense” is conveniently not actually defined, but the Department of Labor gives some advice: keep fees as low as possible. Whether they’re fund expense ratios or administrative fees, expenses paid out of the plan assets can severely reduce your participant's savings over time if they get out of control. So it’s your responsibility to ensure that they don’t. 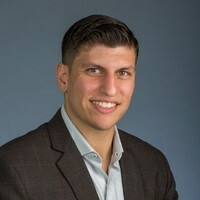 Because you’re in charge of other people’s money, your plan must be covered by a “fidelity bond.” Essentially, a fidelity bond is an insurance plan that protects the 401(k) plan participants in the event of the theft of plan assets. Generally, the minimum coverage must be 10% of plan assets, or $500,000, whichever is less. The final of your primary responsibilities is to select 401(k) service providers and oversee their performance. 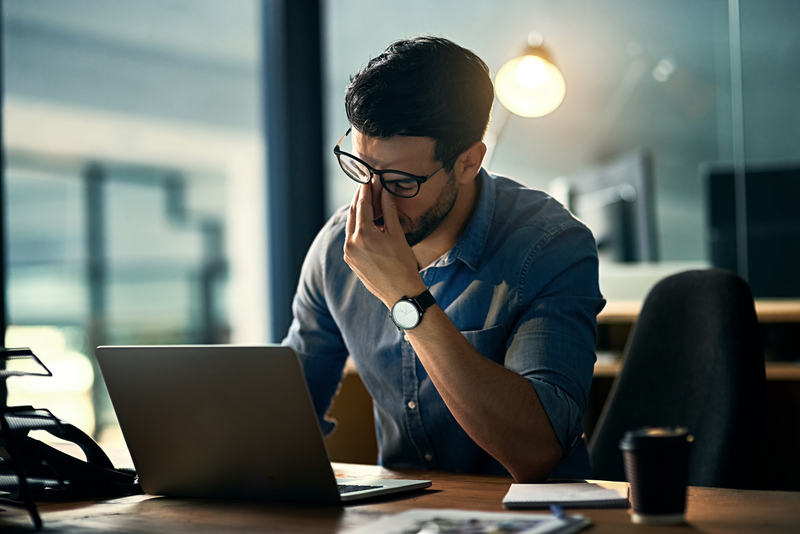 By using a fiduciary service provider, you can outsource a fair amount of tedious and time-consuming work, as well as the legal responsibility for fulfilling ERISA-mandated duties. However (and this is an important ‘however’), the ultimate responsibility is still on the plan sponsor. The plan sponsor has to make sure that the fiduciary is doing their job correctly. Sometimes, this is easier said than done. At ForUsAll, it’s basically effortless. We provide employers with a real-time dashboard they can log into to see what administrative errors we’ve uncovered in their plan, and what the status is in terms of us fixing those errors. Remember, no matter who you choose to help you out, the plan is ultimately your responsibility. Even if all the day-to-day is dealt with, making sure the plan is run prudently is still essential. 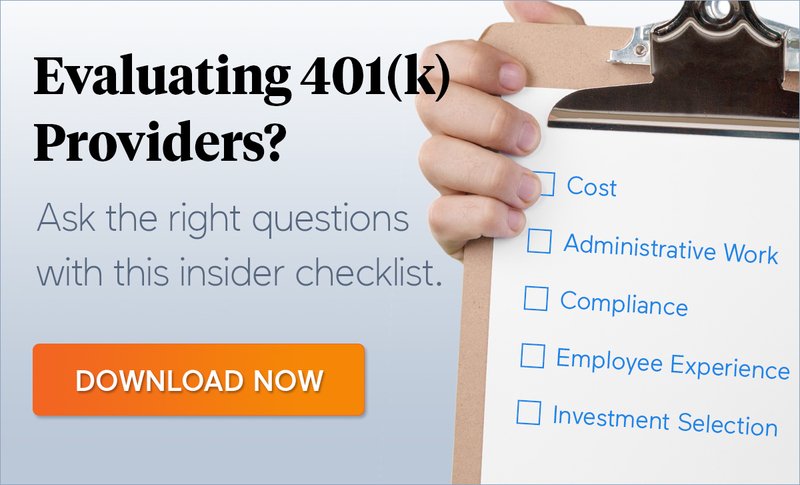 If you’ve made it this far in the guide, you already know: there are a lot of responsibilities involved in being a 401(k) fiduciary. How are you supposed to stay on top of these AND maintain your sanity? A fair question. Luckily, you don’t necessarily have to go it alone. These fiduciaries are financial advisors that take on fiduciary responsibility for the investment portion of the plan. In essence, the difference boils down to what level of responsibility and management they take on. A 3(21) fiduciary will act as a “co-fiduciary,” and will advise and recommend funds for your lineup. With a 3(21), the ultimate choice for the funds is still with you as the plan sponsor. By contrast, a 3(38) takes on the full responsibility for building, monitoring, and maintaining the plan’s fund lineup. So, a 3(38) offers the highest level of fiduciary coverage as it relates to investments. Overseeing the TPA work and results. Coordinating with the record keeper. Approving loans, rollovers, distributions & QDROs. Basically, they handle all the administrative work that the TPA doesn't do, while also assuming fiduciary liability for making sure the plan is administered correctly. Aaaand, there you have it: everything you need to know about being a 401(k) fiduciary. If you made it all the way to the end of the post, we salute you! Deciphering government legalese and truly understanding your fiduciary responsibilities - important as it is - is rather difficult. The only thing more difficult is actually doing the work. With that said, if 401(k) compliance & administration is something you’d rather not deal with, check out our solution! We handle nearly all of the work that goes into running a 401(k), while also lowering your fees and providing a better experience for your exmployees. We offer 3(16) fiduciary services, which means we take legal responsibility for your the work that we do. With ForUsAll at your side, pretty much all you’ll ever have to do is log into our fiduciary dashboard every so often to make sure your plan administration is going smoothly. Tour our solution today to learn more!